Chamber Blogs are from key Chamber Board and Staff members. We'd like to congratulate all of the Wilson County Award Winners! We are so grateful for the many great services offered in our county, keep up the good work! Below is a full list of all the winners. Best Home/Real Estate Staging: Stewart Knowles Construction, Inc.
Best Home Remodeling: Stewart Knowles Construction, Inc.
Best Allergist: Bancroft O’Quinn Jr., M.D. Best ENT: John Tate, M.D. Best OB/GYN Practice: Lanning Jr. Charles B, M.D. Best Outpatient Center: Dialysis Clinic, INC.
Best Surgeon: Dr. Johnathan P. Cornelius, M.D. Best Firearms Store: The Gun Room, Inc. Here at the Chamber, one of our main goals is to increase communication amongst the Chamber, our members, and Wilson County. As most of you know, we are in the midst of the digital age, where everything you need is just a click away. This is why we have recently taken steps to improve our digital communication through our weekly newsletter, website, and social media accounts. We have developed a new and improved weekly newsletter that was sent out on March 5, 2019. The newest edition now includes a new, “on the go” style, this style was achieved by simplifying our previous content to links that will take you directly to where you need to go on our website or event pages. In the upcoming months, we will be adjusting our website to be more user-friendly with a clean, modern style. Previously, we were a little behind on the social media trend, but we now offer a consistent social media coverage over the upcoming events in Wilson County. This has not only improved our followers and interactions but has improved our event attendance as well. But we’re not going to stop there! We are also developing some new marketing techniques that will show off our events in a way that the Chamber has never done before, so stay tuned. Makes sure you stay in the know by following us on social media. Facebook: Lebanon/Wilson Chamber of Commerce, Twitter: @LebChamber, and Instagram: @LebChamber. The Wilson Books from Birth Program is a part of the statewide Imagination Library, the literacy service that provides books to children at no cost to the family. The Wilson County Chapter has only one fundraiser each year, making the Imagination Dinner a very important and exciting event! This year’s Imagination Dinner will be held at the Wilson County Exposition Center on April 11 at 6:30 pm. The event is catered by Sammy B's. Groups or business can purchase tables of 8 for $250, and each group will also select a “wacky waiter” for the evening. Each group will decorate their table and attendees according to the theme that they have selected. The waiter will collect “tips” for anything requested by the group and the tips will be added to the fundraising total for the evening. Live and silent auctions will be available throughout the evening, and door prizes will be given out as well. The cost to supply books to each child per year is $30, 50% is paid for by the Governor’s Foundation and the remaining 50% is raised by the individual organizations. There are currently about 6,000 children in the program, and close to 13,000 have graduated out of the program. With your help, the Wilson Books from Birth program will continue to grow and have the ability to supply proper reading material to children all over Wilson County. This month there are many opportunities to network with local professionals and business owners. On March 21, a Ribbon cutting ceremony will be held for the expansion for Legends Drive at 11:00 am, there will also be a Business After Hours held at Fairfield Inn & Suites by Marriott at 5:00 pm. The Ribbon Cutting Ceremony for Children’s Clinic East will be held at 11:30 am on the following day, March 22. Finally, Poppie’s Boutique on the Lebanon Square will be hosting a Business Card Exchange at 12:00 pm on March 29. All of these events are the perfect way to familiarize yourself with fellow members, introduce your business, and have fun!! Don’t forget to mark your calendars for all of these events, we hope to see you there. Century 21 got the chance to show off their beautiful new location last night as they held a Ribbon Cutting and Business After Hours. Since moving to Lebanon Road, Century 21 now has better access to the rapidly growing residential development in Lebanon, TN. Members from all over the county came to support the company’s successful move. The room was filled with smiling faces as members socialized, networked, and celebrated with Century 21. We cannot wait to see this business expand as they utilize this new location. At the Lebanon Wilson County Chamber, we are committed to engaging, connecting and nurturing people by providing a spirit of enthusiasm for Lebanon and Wilson County. Without you, our dedicated members, these community services would not be possible. 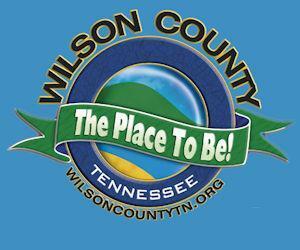 Throughout Wilson County, there are many events that are organized by the Chamber. These events are made possible by our sponsorship opportunities. With a wide variety of sponsorships, you will easily be able to find an event that has special meaning to you or your business. Thank you for your willingness to support our community and advance Wilson County in any way possible. Your support will be recognized and your contribution will improve the quality of life in Lebanon and Wilson County. The Chamber looks forward to this event all year round. We love being able to recognize our members and the hard work of our dedicated volunteers. Thank you for being a member and investing in your chamber. The Lebanon Wilson County Chamber of Commerce strives to make Wilson County a better place to live, work and raise a family. You can be a part of this mission by serving on one of our seven committees. Our committees, roundtables (healthcare and non-profit), and programs (young professionals, women in the lead) could give you a place to belong and help you develop prominent relationships. Your Chamber believes in recognizing your creativity, determination, and commitment that makes a difference in our community. Your Chamber’s goal is to connect individuals and businesses for economic prosperity throughout Wilson County. Through the Lebanon Wilson County Chamber, you will be able to build your business visibility, recruitment, and expansion. You have the option to host or attend Business Card Exchanges that provide a way for members to connect with one another. Your Chamber also offers a variety of services and resources, which allows your business to remain at the forefront of today’s economy. Explore our website to discover more about our networking opportunities, committees, and roundtables. If you are not yet a member and are interested in joining our organization Click Here. After almost a year of construction, the Lebanon Wilson County Chamber Office renovations are finally complete! Our newly updated building now includes a social hub that is open to all members during our office hours. If you missed our open house on December 20th, feel free to stop by and experience the new look of the Lebanon Wilson County Chamber of Commerce. Thank you to our Capital Campaign Building Investors for making this possible, and to our members for a wonderful open house! Join us on Thursday, December 20th to experience the newly renovated 6700 sq. ft. Lebanon Wilson County Chamber of Commerce Office at 4:30 to 6:30 p.m., located at 149 Public Square in Lebanon. The office will now include an elevator, the social hub, multiple offices and meeting areas including another large boardroom with a new wall support, and an updated façade. Thank you to our Capital Campaign Building Investors. Our highest tier investors are Custom Packaging, First Freedom Bank, LoJac Materials, Middle Tennessee Electric Membership Corporation, and Wilson Bank & Trust. The Lebanon Mayor Bernie Ash, Lebanon Wilson County Chamber of Commerce and the City of Lebanon invite the public to the Christmas Tree Lighting on November 15th, 2018 at 5 pm on Lebanon's Historic Square next to the Neddy Jacobs Cabin. The tree is decorated by local elementary artists. Downtown Merchants will be open late for Holiday Shopping. Enjoy the holiday sounds of: Sam Houston, Byars Dowdy, Castle Heights, and Coles Ferry Elementary School Choirs. The Lebanon Wilson County Chamber of Commerce will once again partner with the City of Lebanon and First Baptist Church to present Halloween on the Square on Wednesday, October 31 from 5:00 - 8:30 p.m. As always, there will be plenty of candy for everyone, as well as free hotdogs, courtesy of Public Safety! Join the fun at the ghoul parade starting at 6:30 p.m. Anyone in costume can be a part at no charge! Costume judging will be during the ghoul parade. Contestants will be split into 3 age groups: 10 and under, 11-17, and 18 and over. 3 winners will receive prizes and will be placed on stage for a chance to win $100 cash. Registration for the Ghoul Parade and Costume Contest will be from 5-6 p.m. located north of The Square by Burger King. Stage, music, and Costume Contest presented by Hawks Specialty Services. For more information about Halloween on the Square, please contact the Chamber of Commerce at 615-444-5503. The Lebanon Wilson County Chamber of Commerce Economic Development Division joined Vice-Chairperson Michael Moscardelli in thanking Lochinvar, LLC for their continued support in our community. Eddie Goodwin, Senior V.P. of A.O. Smith and President & General Manager of Lochinvar spoke on behalf of the company. Chamber Chairman J.B. Owens and President Melanie Minter presented the banner honoring Lochinvar for Industry Appreciation Day. Thank you to Vanderbilt Health for sponsoring the event. Lochinvar Corp. dates back to 1939, when Walter Vallett, Sr. founded the Walter Vallett Company. Today Lochinvar continues their leadership position in the industry. As a part of A.O. Smith Corporation, the corporate headquarters is located here in Lebanon, with a continuous development of new, innovative products that keeps the industry moving forward. A member of the Chamber since 1998, Lochinvar continues to support Chamber and community programs. We appreciate their continued support of our golf tournament, building program, and the Books from Birth program. Lochinvar was congratulated with cake for their employees, and a banner to show that they were recognized for Industry Appreciation Day. Michael Moscardelli Lebanon Wilson County Chamber of Commerce Economic Development Chairperson, and Eddie Goodwin, Senior V.P. of A.O. Smith and President & General Manager of Lochinvar. Chamber Economic Development committee members and Lochinvar employees.